This is a basic, easy recipe for Tamales. There are so many variations on these you would be amazed. While they are traditionally wrapped in corn husks, you can also wrap them in banana leaves. They can be made with most any kind of meat or vegetarian fillin. You can even make fruit tamales for dessert! You can make these ahead of time-even a few days ahead of time. They refrigerate well. Be sure to begin steaming them about an hour before you're ready to sit down and eat. This delicious recipe will delight your friends and family. Be sure to serve with some salsa fresca on the side for those who love to spice things up a little! Serves eight. 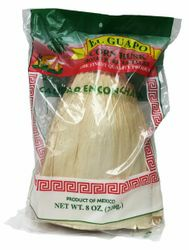 El Guapo Spices brand is part of Mojave Foods a subsidiary of McCormick & Company Spices. La marca de especias El Guapo pertenece a Mojave Foods una empresa subsidiaria de McCormick & Company la compania de especias mas grande del mundo. I have yet to use the husks. But by visual inspection, the packages appear to have many crenkledhusks instead of being flat across the husk. This is why I only gave a 3 star vote. They do look fine for consistent size. I hope I am pleasantly surprised about the smoothness.